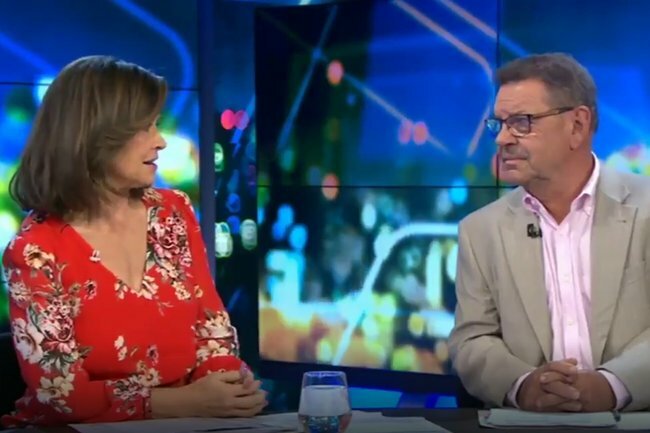 Lisa Wilkinson schools Steve Price on the importance of women's football. On Sunday, more than 53,000 people spent their afternoon at Adelaide Oval watching the 2019 AFLW Grand Final. It was the biggest crowd ever for a domestic women’s sporting event in Australia, squashing the previous record by more than 11,000 people and absolutely smashing the AFL’s expected attendance of 25,000. Thousands more watched the Adelaide Crows defeat Melbourne-based team Carlton 63-18 from their living rooms, which in itself, shows just how far we’ve come. Steve Price shares his ‘feelings’ about women’s footy on The Project. Post continues below video. People are undeniably embracing women’s football, but good old Steve Price doesn’t reckon this is anything to get excited about. Price was co-hosting Monday night’s episode of The Project and after a report about the game and its impressive attendance, Price’s three co-hosts – Lisa Wilkinson, Waleed Aly and Peter Helliar – all shared their excitement over the rise of women’s footy. Helliar told Price he should “eat humble pie” over the news, because he’s never been supportive of women’s football. Price suggested that the reason for such a big crowd was because “there’s not much to do in Adelaide on a Sunday afternoon” or because of the AFLW’s free admission… which seems dumb because there are literally thousands of free events around the country, and we doubt many of them get 50,000 attendees. Oh, and also, maybe people just ENJOY watching talented sportswomen play high-quality footy. But he probably didn’t think of that. In response, Wilkinson questioned if Price realised how much the popularity of AFLW meant to women. “Do you have any idea what that vision, what those optics mean to young girls?” she asked. “At this stage it’s all about building the sport after centuries of women being told ‘no you sit and watch the men’,” Wilkinson said. “Women actually get to go out there -” she started, before Price interrupted. “Are you kidding me? Are you serious?” Wilkinson asked. Price then claimed that they could not change his mind on the matter, to which Helliar retorted that yes, actually, he could.